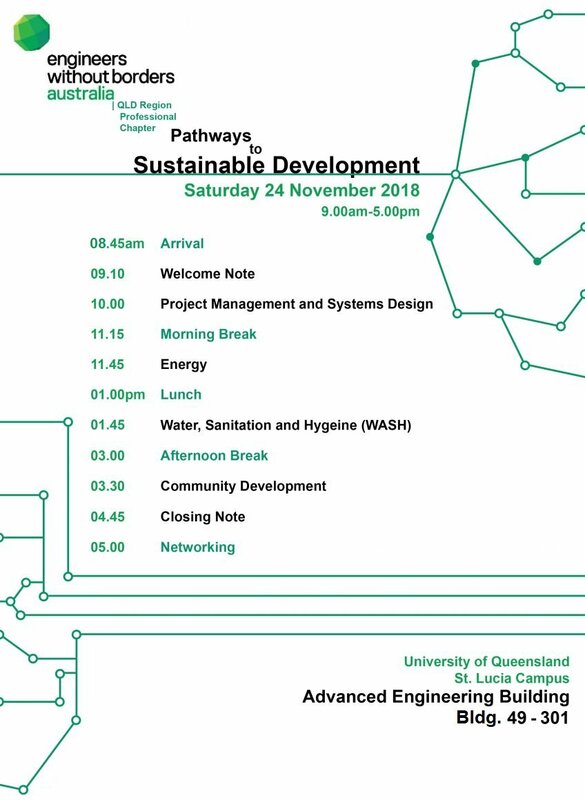 The Professional Chapter of Engineers Without Borders (EWB) Queensland is excited to present our premier conference: Pathways to Sustainable Development! 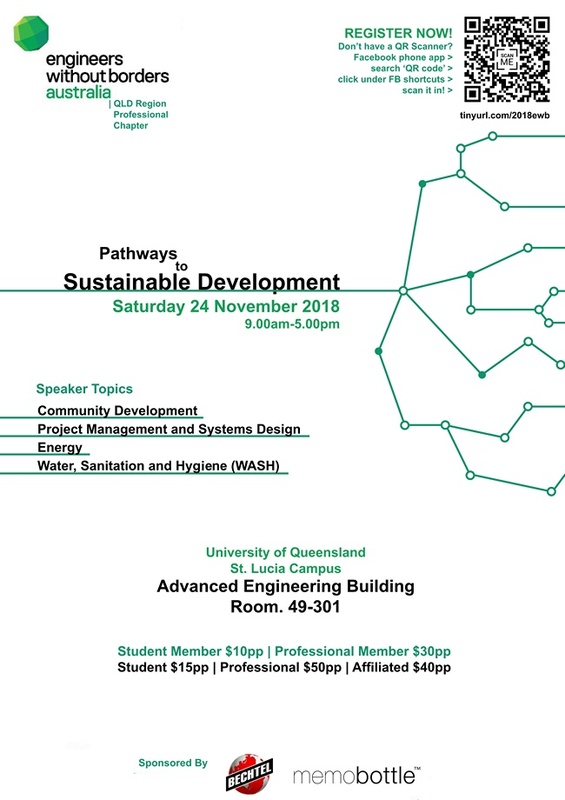 Please join us and our guest speakers this Saturday 24/11 at UQ's Advanced Engineering Building (Building 49 Space 301). It will be a full day of knowledge sharing and networking in community and sustainable development. Pathways to Sustainable Development aims to share knowledge and inspire people in development. All are welcome to attend this biennial conference; those in industry, students and the wider community. Engineers attending the conference can get up to 6 hours of CPD. Make sure you pay to secure a place or let us know about paying on the day. You need to pay online to get a receipt and to have a record for continuing professional development (CPD) hours. How: Register on the right -> click "Purchase my ticket"
5. Welcome to the EWB community!